Three Coda All-State Orchestras with audition materials due in November and rehearsals and performance in February. It is a challenge and honor to be invited to play with any of these elite orchestras. It is a chance to meet and work with various conductors and musicians from around the state. Also it is a great way to represent your school orchestra program at the state level. In addition to being a memorable and motivating musical experience, your participation in an honors orchestra is viewed favorably by college admissions and scholarships. It proves that you have an accomplished level of musical ability; which demonstrates that you have the character and discipline to challenge yourself to succeed at an honors level in a particular activity. It is also a respected resume builder, which shows you have had diverse educational life experiences. Auditions are submitted as recordings only, so you don’t have to show up in person to audition to be accepted. You can record your audition in the comfort of your own home if you have the appropriate equipment. Equipment needs include a method to record and burn your file onto a CD. The time commitment is whatever it takes for you to prepare and record the audition materials, which include a given scale and a page of orchestral excerpts. If your audition is successful and you are invited to participate, you can decide at that time to commit to the 2-3 day rehearsals and public performance. If you are concerned about your level of musicianship compared to others, please consider that the Davis Orchestra Program is one of the finest in the state. 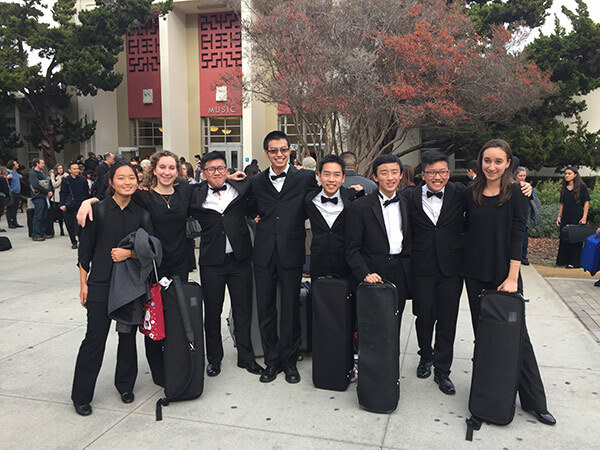 A healthy majority of Davis music students, with adequate preparation, succeed in these auditions every year and go on to have memorable musical and social experiences. You could be among these future and former decorated players. Unless you go for it you will never know! Information and materials are now available for the State Wide Coda Honors Orchestras at http://www.codaorchestras.org. If you have any questions please contact Mr. Moreno. Following is information for the 2018-19 school years. Students must be in 9th-12th grade. All audition materials must be turned into class by Monday, September 24th to be considered for the CODA High School Honor String Orchestra. If accepted, the rehearsals and performance will take place at November 30-December 1, 2018; University of the Pacific, Stockton, CA. Students must be in 7th-8th grade. All audition materials must be turned into class by Wednesday, November 28th to be considered for the CODA High School All-State String Orchestra. All audition materials must be turned into class by Wednesday, November 28th to be considered for the CODA High School All-State Symphony Orchestra. If you have any questions please contact Mr. Moreno. © 2019 Davis High School Orchestras. All rights reserved.